Home » Tools & Resources » Top 10 Most Obese States of the Future: Where Does Your State Rank? Is Obesity a public health crisis or moral panic? 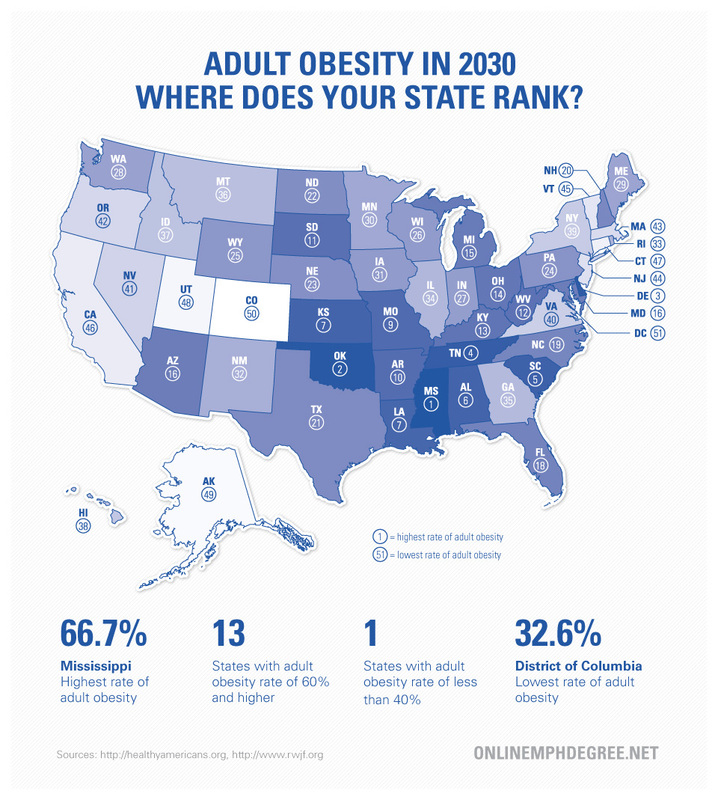 Our featured report notes that by 2030, 13 states could have rates of adult obesity above 60%. Most of us have heard for decades that the numbers of obese adults has been increase. While adult obesity rates have leveled off in all states except one recently, a new study released by Trust for America’s Health (TFAH) and the Robert Wood Johnson Foundation (RWJF) indicates that obesity, disease rates and health care costs are set to soar in most states in the next two decades. The report, titled, F as in Fat: How Obesity Threatens America’s Future 2012, has analyses that provides a state by state forecast for adult obesity rates. 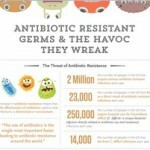 It also features the most likely result as increased disease rates and health care costs. The report notes that by 2030, 13 states could have rates of adult obesity above 60%. Thirty nine states could have rates over 50%, and all states could have obesity rates over 44%. The report states that if obesity rates in states rise as anticipated, the number of serious diseases suffered by Americans could soar. These include type 2 diabetes, heart disease, stroke, hypertension and arthritis. So where does this really leave us? If obesity is already a public health epidemic where will it be in 20 years? While the problem of future obesity is a concern for all states, the following five having the highest risk for obesity now and in the future. Also note that the rates of obesity correlate closely with the percentage of people who exercise in that state, as well as the amount of fast food consumed there. Also related to these statistics is the overall health rank of a state’s population, as well as the percentage of the population with heart disease. The report notes that Mississippi will be the most obese state by 2030. The report states that Oklahoma will be the second most obese state by 2030. The report notes that Delaware will be the third most obese state by 2030. 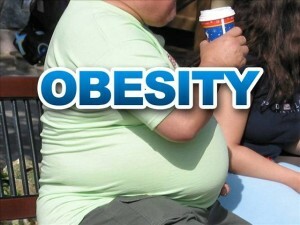 The report states that Tennessee will be the fourth most obese state by 2030. The report notes that South Carolina will be the fifth most obese state by 2030. Alabama has been found to be the sixth most obese state by 2030, the report states. Birmingham, Alabama has been found to be the 4th most out of shape city in the US. The report finds that Louisiana will be the 7th most obese state by 2030. Louisiana is also home to New Orleans, found to be the 17th most out of shape city in the US. Kansas is projected to be the 7th most obese state by 2030 tied with Louisiana. One of the reasons for this is that only 16.5% of Kansans exercise regularly. Missouri is projected to be the 9th most obese state by 2030. One of the reasons for this is that the state’s baby boomers are ranked #8 in the country, with 36.9% of them being obese. This will tend to continue and worsen as these people grow older. Arkansas will be the 10th most obese state by 2030. It also is ranked #13 in the number of sick people in its population. 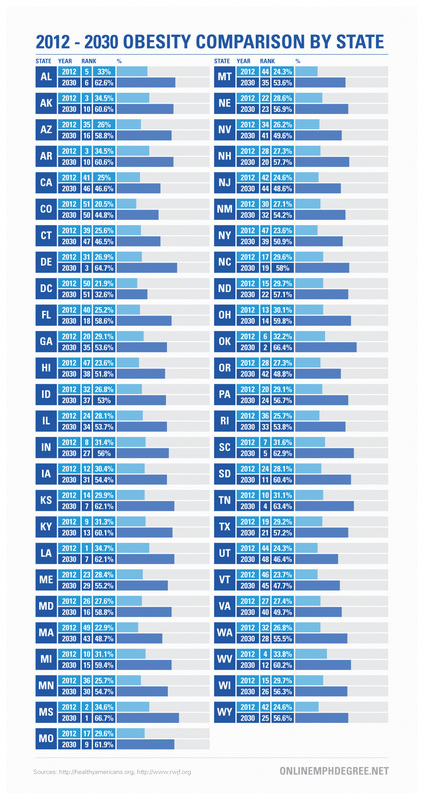 See the complete 2012-2030 adult obesity rankings nationwide.